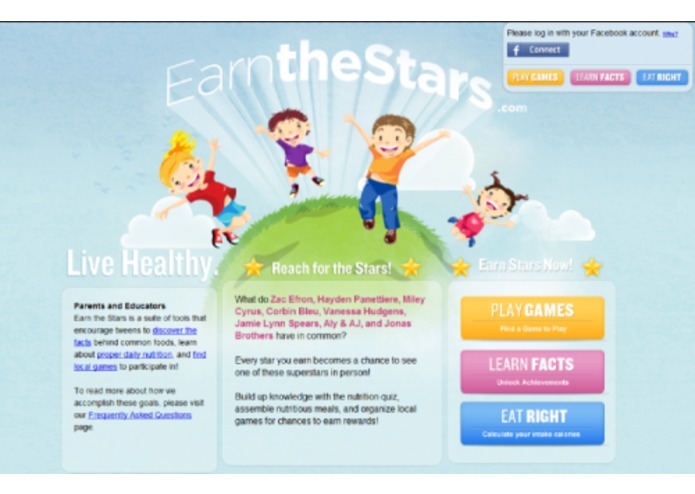 Earn the Stars is a merit-based tool for educating, motivating, recognizing and rewarding children to make good choices about nutrition and participating in physical activities. We believe in kids and their ability to overcome challenges with the right incentives. As technologists participating in the Apps for Healthy Kids competition, we feel passionately about addressing social problems with appropriate technology that empowers - and then gets out of the kids way.